I'm really not even sure how I stumbled upon Lucy's Inspired. I believe I just happened to see a post from them on Instagram. I thought their necklaces were beautiful, so I started following them and then realized they were looking for brand ambassadors. I loved the fact that as a brand ambassador I could get some of their jewelry at a discount and that I could get a discount code for y'all too, so I signed up. 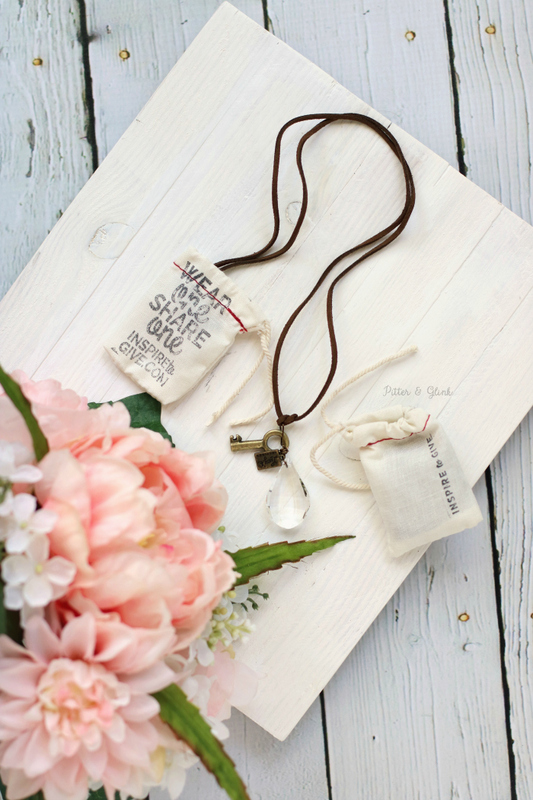 I spent hours one night deciding what necklaces I would order first and finally decided on three. I bought (from left to right) the Clara with clear crystals, the long Sophie with a grey crystal, and the Beatrice. And, y'all, I have been wearing these necklaces so much since I got them!!! It's hard for me to choose a favorite, but I think it may be the Beatrice. I LOVE how chunky the crystal is. 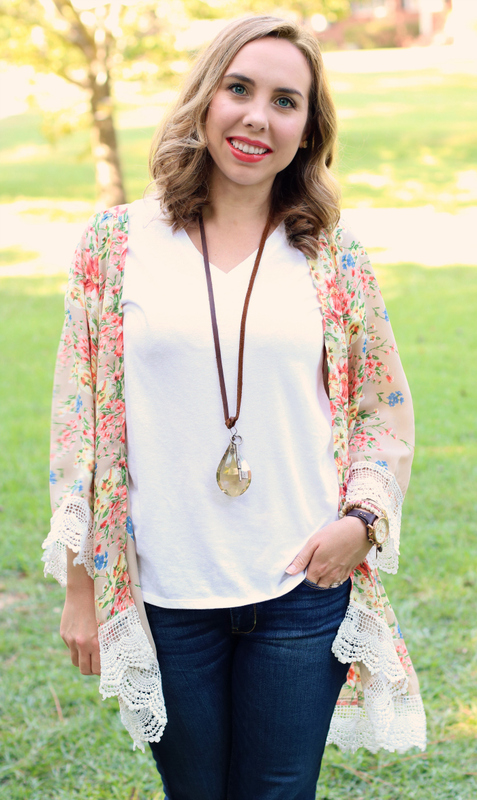 In the picture above, I'm wearing it with jeans, a white tee, and this kimono from Amazon (Yep, it's an Amazon find!). I feel like the necklace adds a little sparkle and dresses up my outfit a bit. And how great does it match my new Fossil watch?! I've worn my Clara necklace multiple times too, but I haven't snapped a pic of me wearing it. 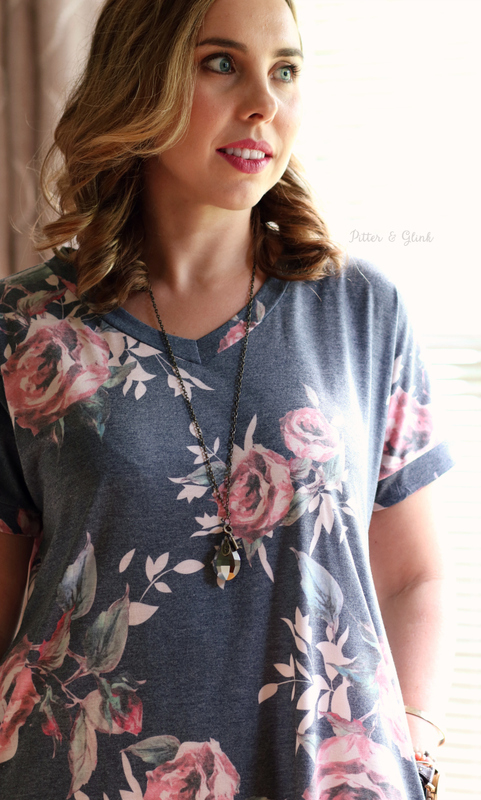 It looks great paired with leggings and a tunic. 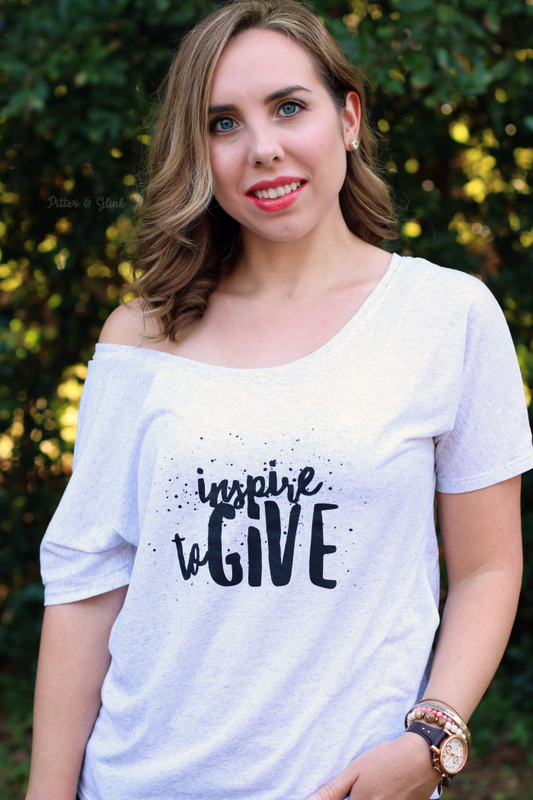 Last week, I got a brand ambassador package in the mail from Lucy's Inspired, and I was so excited to get this awesome Inspire to Give t-shirt and an Inspire to Give necklace. 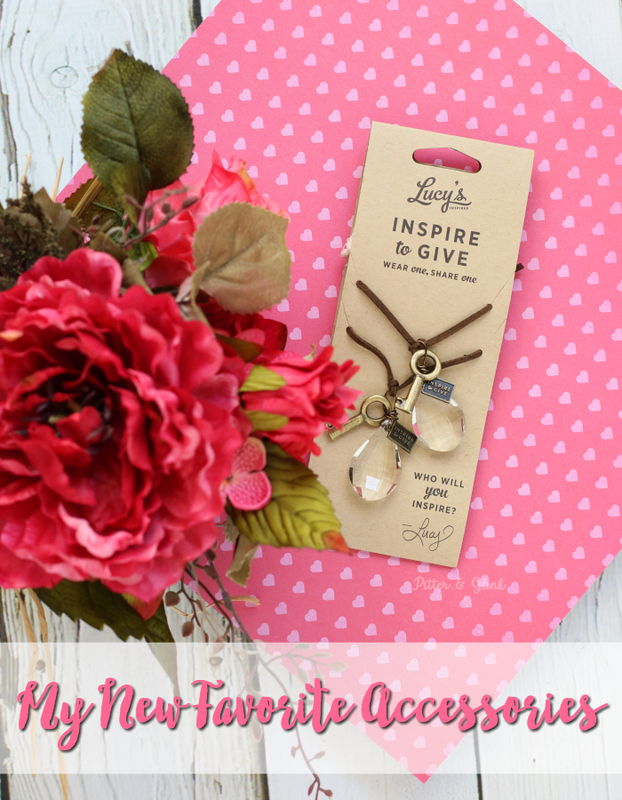 Lucy's Inspired is super passionate about inspiring others through giving, so they have a tee, a bracelet set, and a necklace set in their Inspire to Give Collection. The collection is meant to encourage you to "wear one, share one." 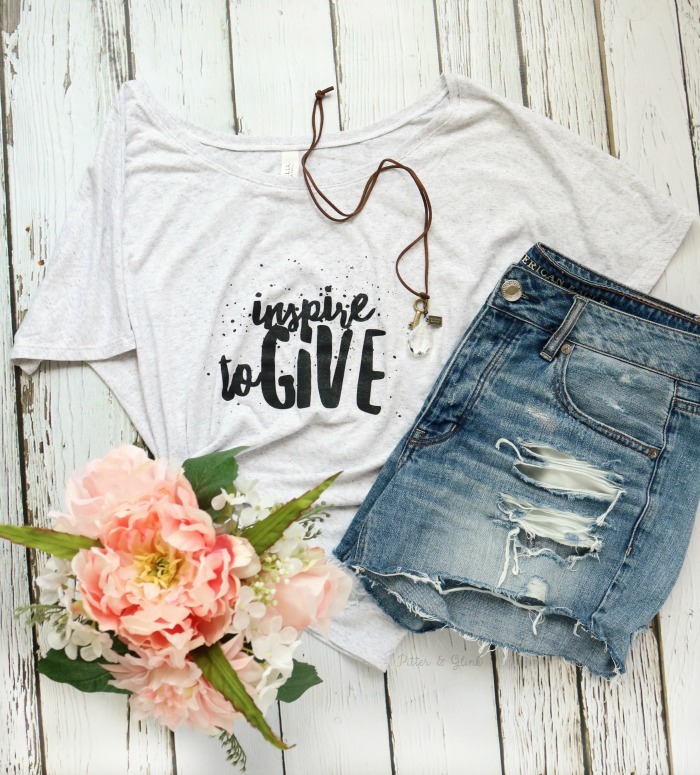 In other words, you can get a necklace or bracelet to wear yourself and then share one with someone else to inspire them. I just think that's so cool! 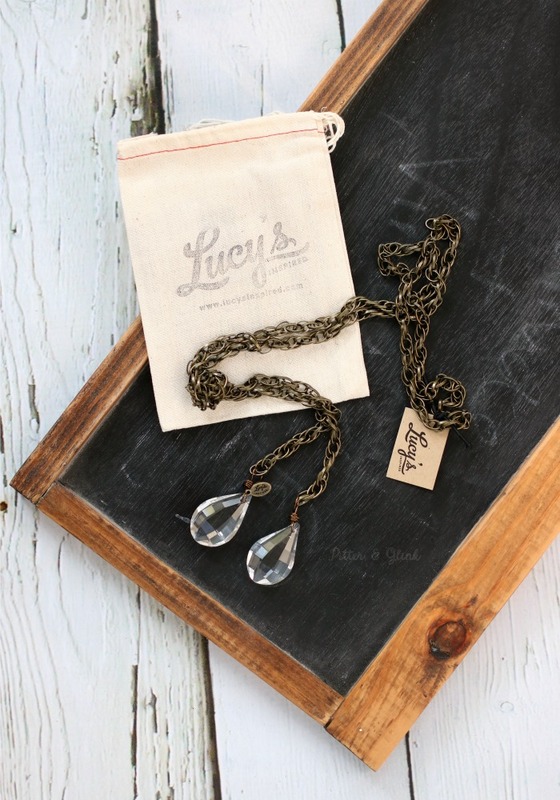 Lucy's Inspired sent me a few extra Inspire to Give necklaces to give away, and I can't wait to share a couple of them with some unsuspecting ladies. 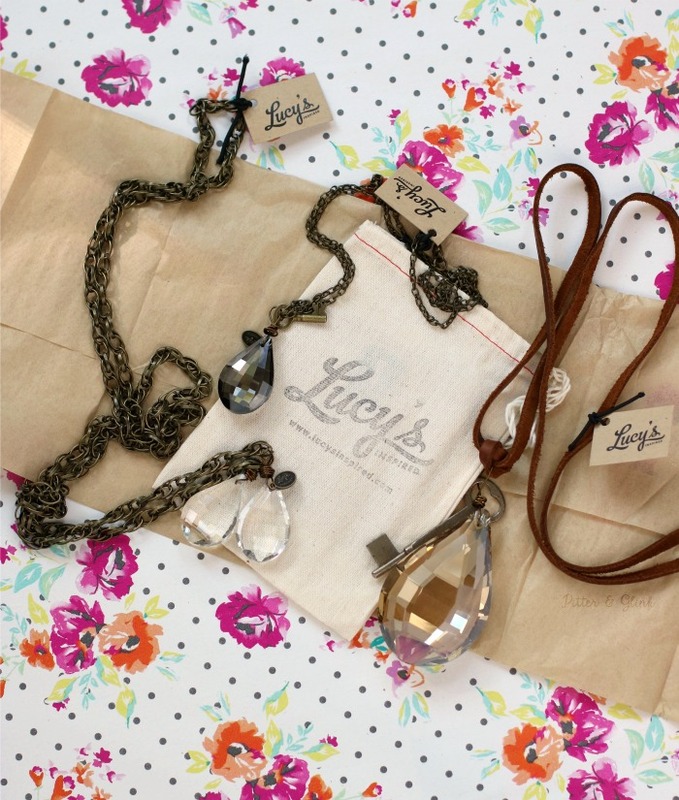 If you, like me, are now in love with Lucy's Inspired, head over to their website to order yourself some new jewelry! Be sure to use the code BETHANY20 for 20% off of your order. When you get your items, snap a pic of you wearing them, share the pic on Instagram, and tag me so I can check out what you got. Happy shopping!